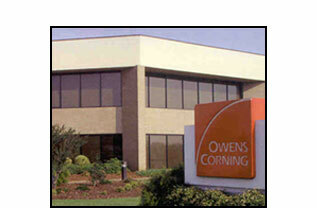 Owens Corning Ridgeview is part of the 5 billion dollar Owens Corning family. We are a state of the art precision Electron Beam Drilling service located in Duncan, South Carolina. Owens Corning Ridgeview has a unique understanding of the electron beam drilling process and an extensive knowledge base in drilling a diverse matrix of metals and ceramics in various thickness' and open areas. We currently supply products to a diverse group of industries that place extreme demands on precision drilling. We are a single source for your drilling needs. We have a complete in-house engineering and metallurgical staff. Our manufacturing not only includes precision CNC electron beam drilling, but machining and EDM drilling. We are ISO 9001 certified and we ship products throughout the world. Owens Corning Ridgeview is The Hole Solution™.